The frst time you see it you know it ‘s unlike anything you’ve seen before. Its clean, innovative design tells you that the LN-100 is a game changer. The LN-100 strips away complexity to deliver an easy-to-use tool dedicated to construction layout. 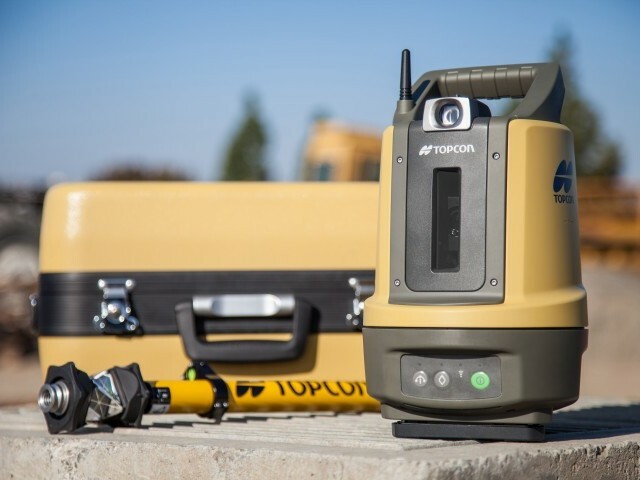 The LN-100 utilizes Topcon’s time-proven laser and robotic total station technologies to create a totally new tool that’s easy to use, without sacrificing the accuracy and versatility demanded for all types of construction layout. With the press of just one button, the LN·100 automatically self·levels and is ready for action. Fire up its hand-held, touch-screen controller and you are ready to go to work. With the wireless controller, call up simple point layout or large CAD drawings - right in the palm of your hand, anywhere on the site. Display the design point or line that needs to be staked out, touch it, and the LN-100 laser immediately points to the exact location. it can also lock onto a prism and guide you to the next design points. One-person layout has never been this easy. From traditional utiity layout, to foundations. electrical, plumbing, walls, ceilings, HVAC. and much more, layout anything on the jobsite up to 100M away. Never before has construction layout been so powerfuly simple. The LN·100 is a compact, self-leveling, easy-to-setup 3D layout tool designed for construction layout. 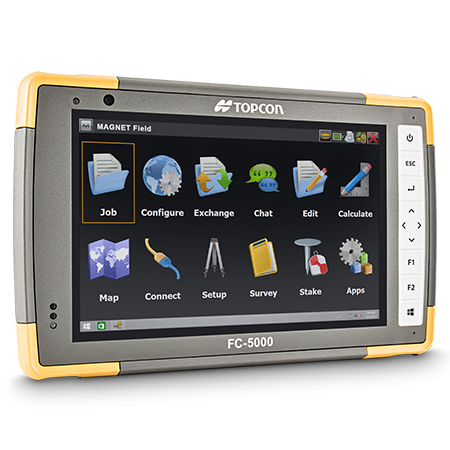 When paired with the FC5000 Field Controller, the system is as powerful as it is easy to use. The FC5000 field controller is rugged and powerful, harnessing the power of the LN100 has never been more intuitive and packed with features.